Formation pressure. 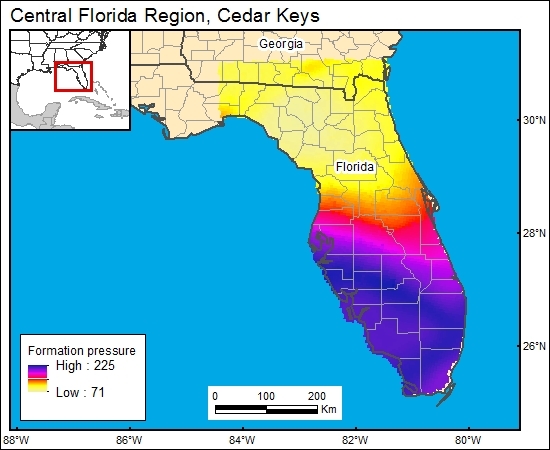 Meyer (1989) provided a discussion of pressure versus depth of wells in southern Florida and determined that the pressure gradient for the saltwater portion of the section is 0.44426 psi/ft. We used this gradient in combination with the depth to formation information to generate the pressure-distribution map presented in the GIS.